When I was a kid, my parents seemed to have an unhealthy obsession with sweet, fruity drinks. Every party I remember them hosting in the 1980s was fueled by some combination of piña coladas (rum and pineapple juice), Harvey Wallbangers (vodka and Italian liqueur), daiquiris (rum and strawberry syrup) and white Russians (vodka and Kahlúa). But none of their saccharine choices interested me—even with my adolescent palate; instead, I preferred to take a furtive underage nip from one of the more neglected spirits in the family liquor cabinet—blended Scotch whisky. It’s not surprising that my parents’ bottles of Scotch sat around gathering dust. By the 1970s, Scotch sales were on the decline. And while single-malt Scotches such as Glenlivet and Glenfiddich helped lead a Scotch re-birth, single malt’s younger sister, blended Scotch, still seemed left behind. · Johnnie Walker Black Label, silky, caramel-forward with just a touch of smoke from the Islay distilleries. · Chivas 18, a perfect mixture of rich, candied single malts such as Glenlivet and Aberlour. · Ballantine’s 30 Year Old, a luxurious honeyed blend balanced by leather and chocolate. 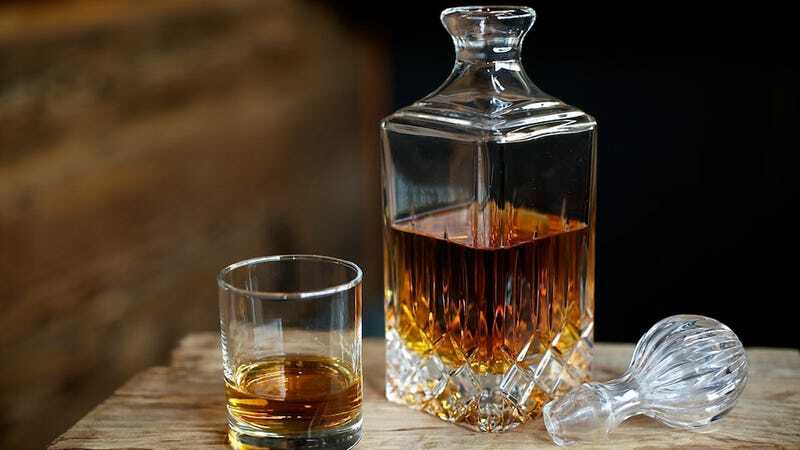 For me, they recall two separate histories—one personal (my first few sips of booze), the other much larger than me (the birth of Scotch whisky).